Access road to the beach is right opposite the main gate of the guest house. The beach is 2 mins [200 mtrs] walking distance. 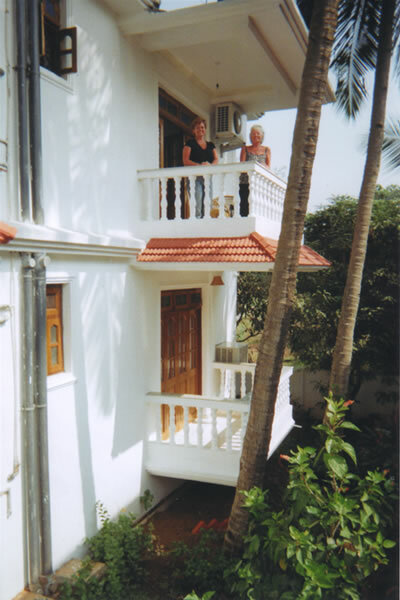 So our accomodation is close to the candolim beach. 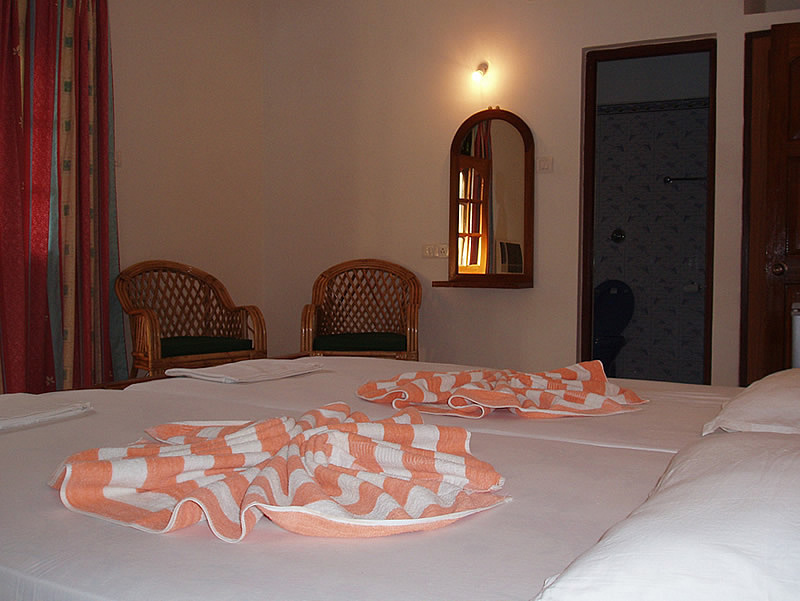 Internet Wi Fi access in the rooms. 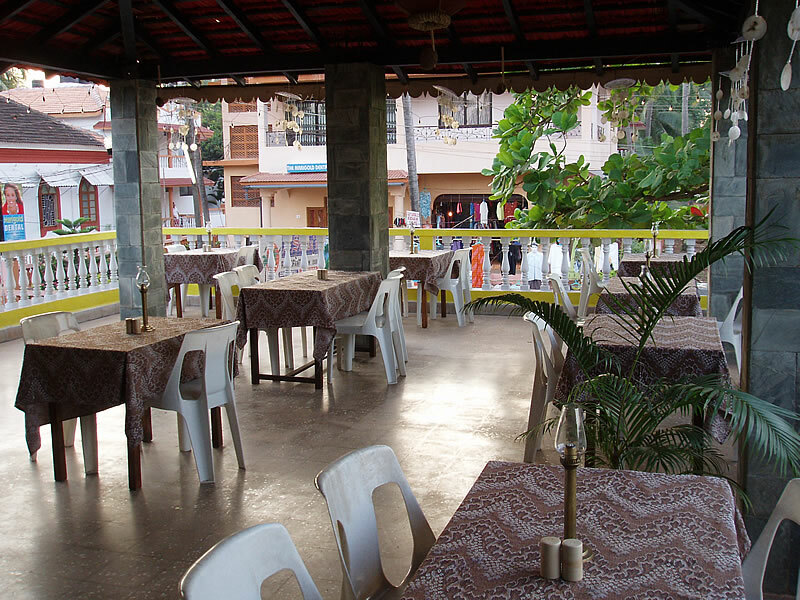 Hundreds of eating houses are lined up along the main road with different cuisines, ranging from Indian, Goan, Chinese, Continental, Italian, Thai, etc.So,plenty to choose from! The beach is dotted with numerous shacks offering sunbeds, body massages and fine cuisine. Water sport activity is undertaken by the local people. They do Jet Ski, Paragliding, Joyride, Dolphin & Crocodile sighting trips, Fishing, Snorkling, Diving, etc. The Chemist is just 5 mins away. Taxis in large numbers are available, just waiting to ferry you across the small state. It's not at all difficult to find them, but they find You! If you're walking along the road, they never fail to offer you a lift. You can hire a bike, car or a jeep very easily. But only make sure you have proper driver's license, a helmet, a good loud horn & strong sharp brakes. 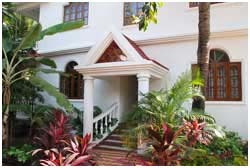 We arrange transport if requested.More detailed description of the guest house / guest room can be obtained if you send us an e-mail. 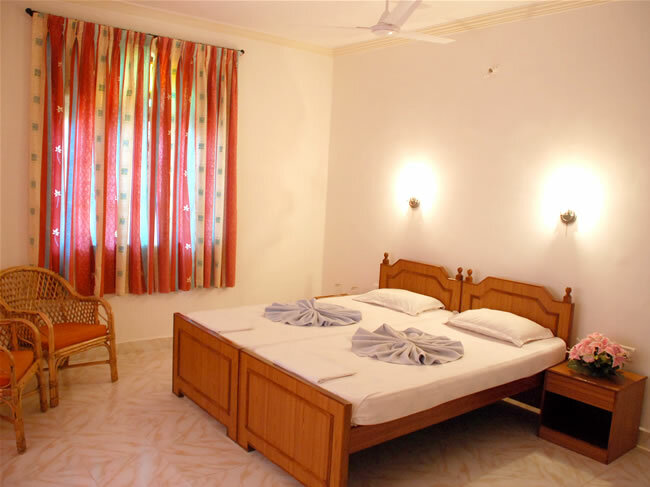 The rooms are of standard quality, clean and well maintained. Highly recommended for middle aged and older couples looking for a quiet and relaxing place sans noise / hassles. Come stay with us ! 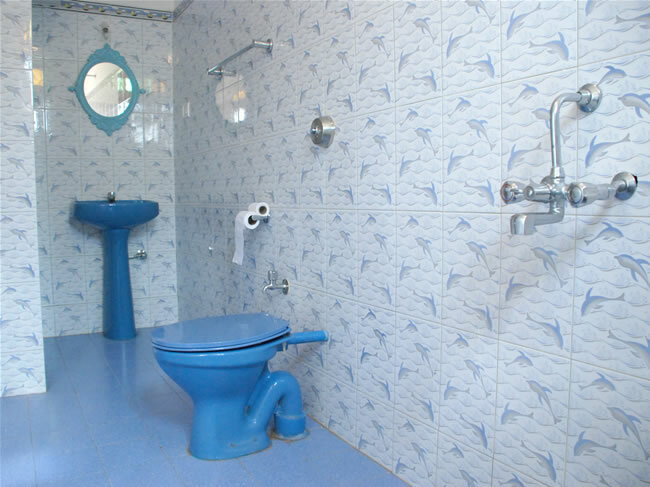 We will make your holiday in goa ,a comfortable one. +money changing, international calling, handicraft shops, garment shops, jewelery and precious stones outlets,water-sports all in the vicinity.